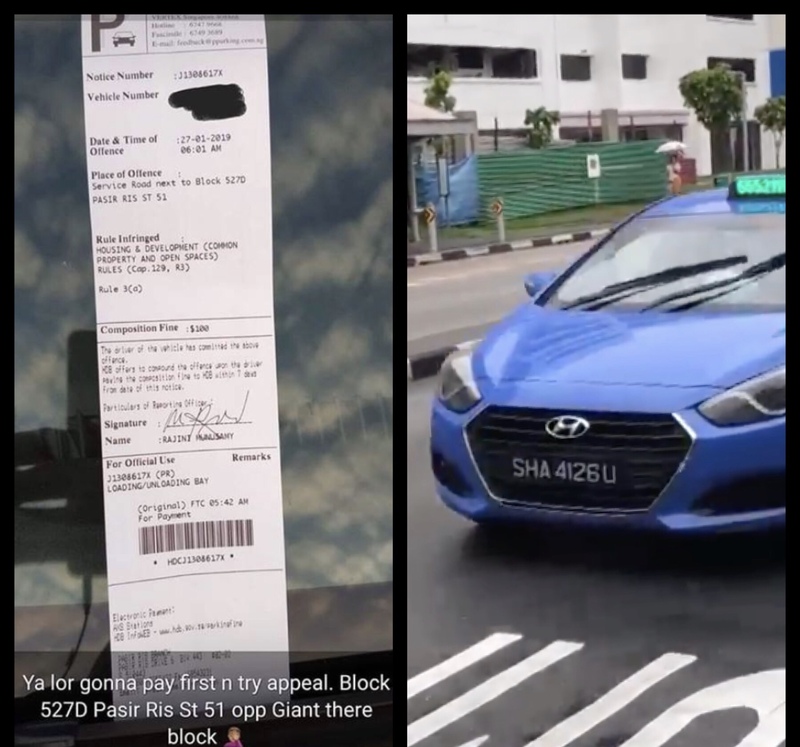 Singapore – A distressed taxi driver had the experience of waking up to a summon after sleeping at a loading and unloading bay of an HDB’s void deck. He wasn’t woken up in advance and now had to pay S$100. Taxi drivers work hard for a living and have the right to take naps in between to recharge and avoid unnecessary accidents, given that they do it in permitted areas. One particular driver did this and shared his experience through Raymond Ching (relation unknown) who posted the incident to Singapore Taxi Driver’s Facebook page. What happened was the taxi driver, being tired, had to rest. He chose a void loading and unloading bay of an HDB along the service road to get a quick shut-eye. When he woke up, he had a summon for S$100. His was in violation of the Housing and Development (Common Property and Open Spaces) Rules. 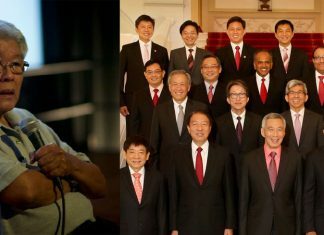 The location was at the service road next to Block 527D Pasir Ris St. 51. Raymond Ching went to social media for some suggestions and insights although according to the driver, he will pay first then make an appeal. Netizens had mixed emotions regarding this incident with some taking the side of the taxi driver while others were more observant of the rules. Brian Tai agreed that if someone was inside, knock first and wake the person up. Many were commenting about the quota of the wardens needing to be met, hence the ticket. 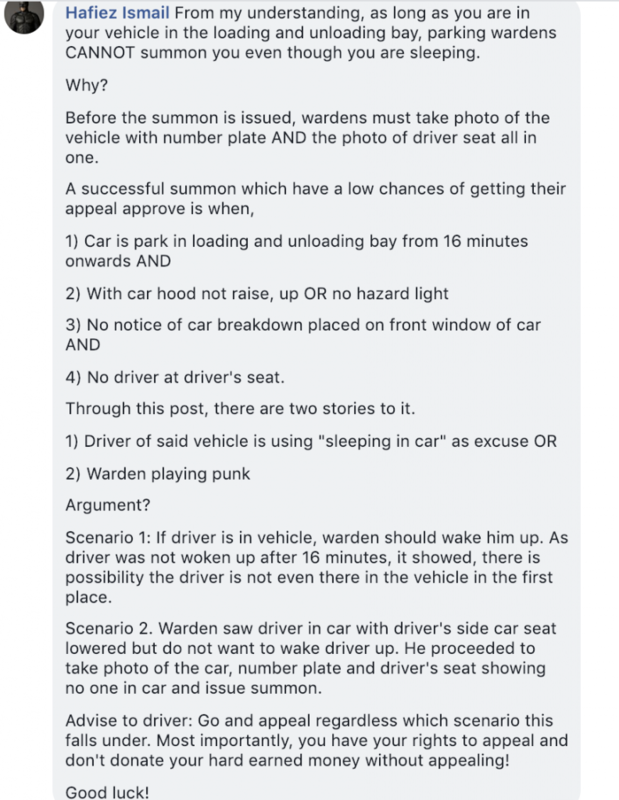 Hafiez Ismail made an in-depth comment about why the parking wardens could not summon the driver even though he was sleeping and even made two scenarios to help the driver out in his appeal. Jessie JJ had a witty suggestion to give. 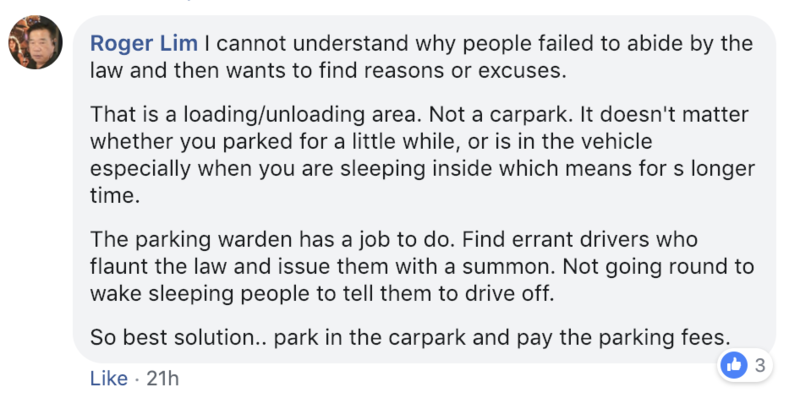 Others were insisting that it was not a carpark but a place that needed to be accessed by other drivers hence the driver was at fault. 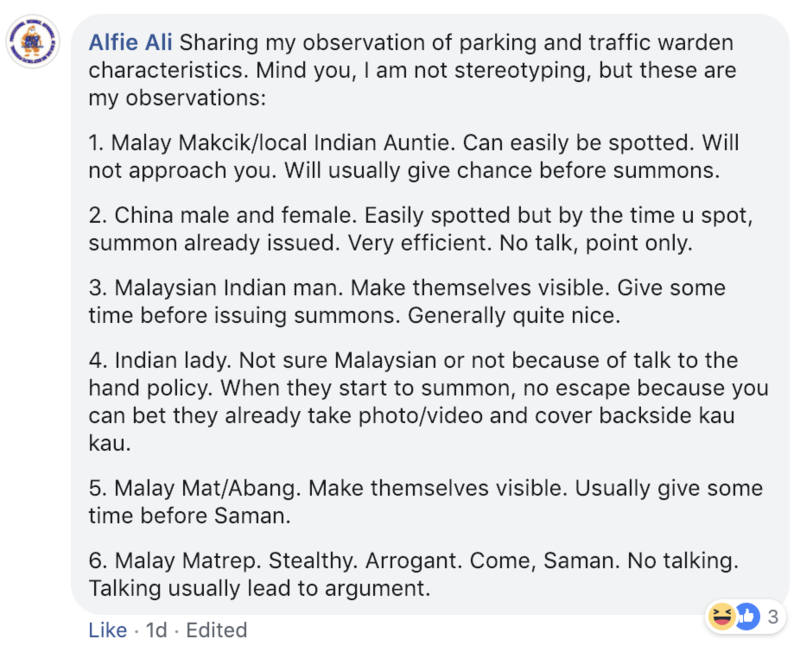 Meanwhile, Alfie Ali shared an observation on parking and traffic warder characteristics based on race.